To maintain consistent quality, our fertilizers are carefully tested in terms of water solubility, chemical composition and other factors. Only fertilizers that satisfy our quality standards are launched to the market. The success of our clients is essential to our growth. We offer privileging services to small and medium plantations that other manufacturers reserve for large purchases. We send our specialists to work closely farmers to help them maintain a great harvest year-round. We organize series of talks in West and East Malaysia to share information about our latest products. Our talks aim to assist farmers and plantation owners in leveraging our fertilizers for better plant nutrition and crop yield. 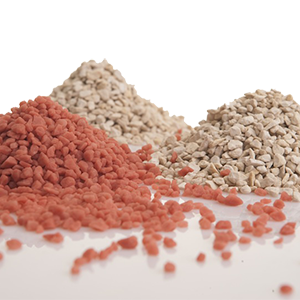 Agromaster is one of the seven leading manufacturer of fertilizers in Malaysia. We provide standard and customized fertilizers for palm oil plantations and other plantations in Malaysia and Asia Pacific region. We offer free onsite consultation for orders of more than 100 tons for plantations in peninsular Malaysia, or 500 ton for plantations in east Malaysia. Our research and development team works round-the-clock to ensure that the finest of our products reach our customers. The relationships we form with customers never end with sales. We reach out to them at farms and plantations and educate them to achieve maximum crop yield with our fertilizers.